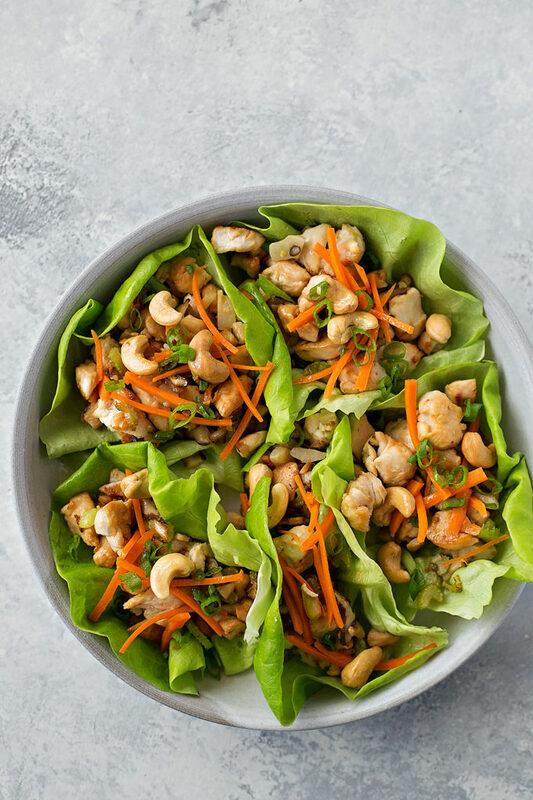 These flavorful cashew chicken lettuce wraps are BURSTING with flavor and they only take 30 minutes to make! 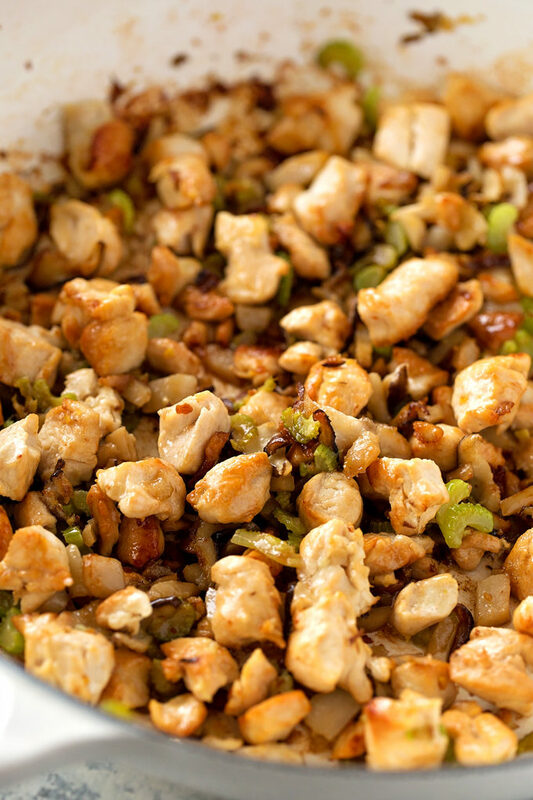 Great with ground chicken too! Ok, I have to admit, I haven’t always been big on lettuce wraps. They always left me hungry and wanting more. 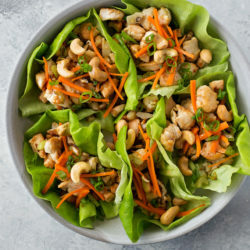 But then I tried lettuce wraps with nuts and loved them! I’m convinced the extra protein made them more filling. 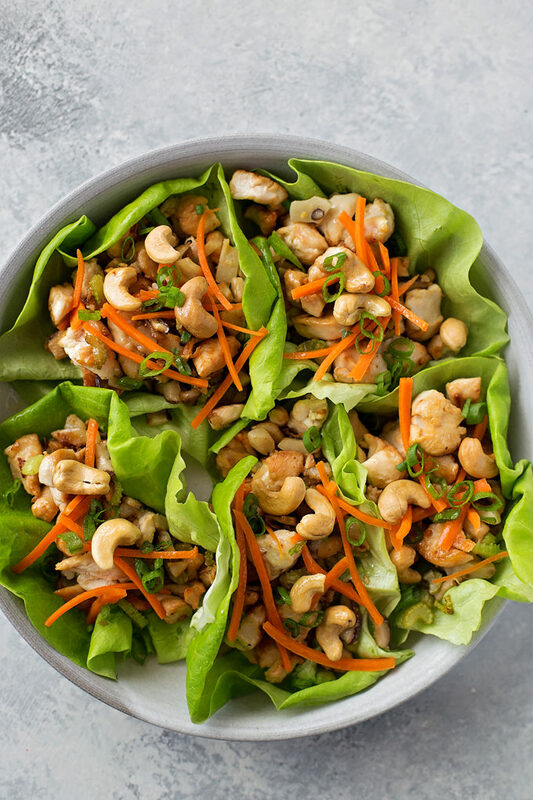 A month or so back I made these cashew chicken lettuce wraps and they were perfect for lunch. Light, relatively healthy and surprisingly filling! While they were definitely one of the more “involved” lunches I’ve made in a while, they were so worth it! This recipe is delicious as-is, but totally customizable if you prefer subbing or ditching ingredients. I prefer the crunch of the celery, water chestnuts, cashews and carrots, the tenderness of the chicken, the earthiness of the mushrooms/oyster sauce, and the spice of the chili paste. Everything works together so well! I highly recommend letting the filling sit for a good 5 minutes before you fill the lettuce leaves. Butter lettuce is pretty fragile, much less hearty than romaine. You don’t want it to wilt or rip from the heat and have everything fall out. I like to save the garish prep for that time. Wash the lettuce, dry it, grab the cashews, julienne the carrots and cut the green onion. If you give these lettuce wraps a try, let me know! They were a bit hit and I can’t wait to share a Thai version soon! In a large nonstick skillet set over medium heat, add the oil. When the oil is hot, add the chicken and cook throughout. Add celery, chestnuts, mushrooms and garlic, cook until tender, about 4 minutes. Add ginger, soy sauce, sesame oil, oyster sauce and chili paste, mix to combine. Cook for an additional 3-4 minutes. Remove from the heat. 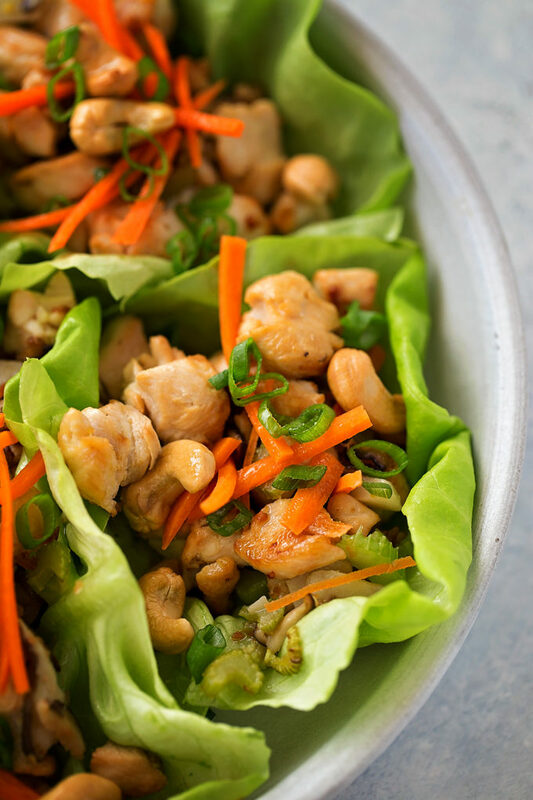 Scoop warm mixture into the lettuce leaves, top with carrot, cashews and green onion. Serve immediately. * I like to use the large zester on my four sided cheese grater.